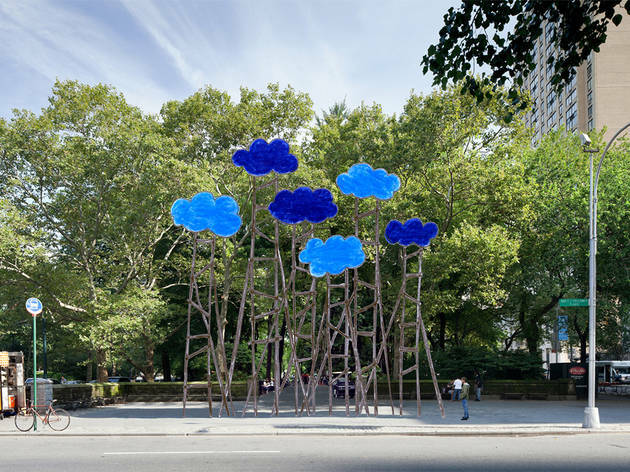 Every spring, an installation takes up residence in the southeast corner of Central Park, and this year’s, by Swiss artist Olaf Breuning, is among the most kid-friendly yet. 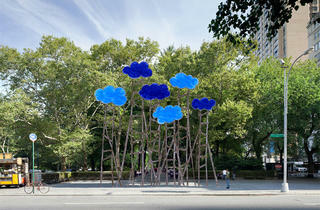 Its six polished blue aluminum clouds, rendered as though a child had drawn them, seem to float in the sky thanks to steel supports. Their surreal presence will no doubt set the stage for a play-filled romp in the park.